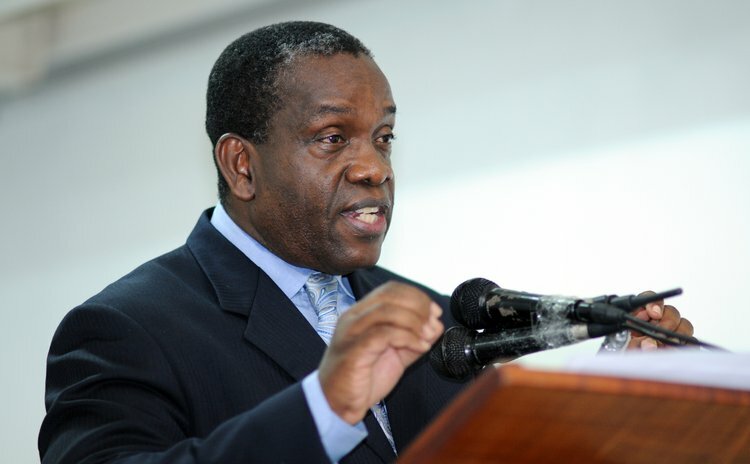 Lennox Linton, the leader of the opposition United Workers Party (UWP) wants the Roosevelt Skerrit administration to begin, immediately, the distribution of housing material donated by international organisations to homeowners whose properties were damaged or destroyed by Hurricane Maria on 18 September 2017. In a statement released to the press recently Linton said the government have received the building materials. "Yet, four months after Hurricane Maria and notwithstanding the grave situation facing home owners and householders, Government has not found it necessary to publicly unveil an equitable method of distributing the housing assistance in its possession to needy citizens particularly the most vulnerable among us," Linton said. In that distribution Linton says the government should concentrate on "giving priority to the most vulnerable, low-income families" And the Leader of the Opposition also suggested that government must "Provide a one- time housing assistance grant of no less than $5,000 and $2,000 to every home owner and head of household whose annual income fall between $12,000 to $36,000 per annum". According to Linton, "Hurricane Maria devastated Dominica's housing sector with a billion-dollar hit that left over 4,000 houses destroyed and over 23,000 houses with different levels of roofing and structural damage". He added that "thousands of our citizens were left homeless, thousands were forced into temporary uncomfortable housing conditions and thousands more were forced to relocate and even migrate. With the heavy rainfall in recent months, residents in severely compromised housing conditions all over the island face the continuous threats of flooding and landslides". In addition Linton wants an extension to one year of "duty free concessions and VAT exemption on building materials"; "provide a low interest line of credit to local hardware suppliers"; "allow corporate profit tax exemption for three years"; and " prepare area action plans for the protection and relocation of venerable communities." Responding to allegations that the Dominican government provide a Barbadian company with a contract to build 1000 houses after Hurricane Maria, Linton said his party denounces such decisions. He added that government should: "Facilitate local private sector participation in the supply and delivery of new housing units nationally. In this regard we call for adherence to provisions of the Public Procurement Act and forcefully condemn the recent awards of a non-tendered contracts for supply of new housing to foreign companies."